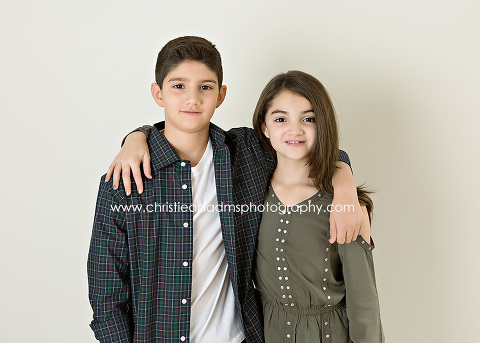 I loved seeing these adorable siblings at my studio for another photo session together! Even though I am primarily a baby photographer, I absolutely love photographing children of all ages. My own daughters are 9 and 12 years old so of course I have a lot of experience photographing “older” kids every day in addition to my clients! Christie Adams Photography has been a NJ children’s photographer since 2007 and has a studio in downtown Glen Rock NJ in Bergen County. Christie specializes in timeless and classic portraits of babies, children and families where the focus is always on you and your children and not trendy props or backdrops or a “set”. Your images will stand the test of time and look just as lovely on display in your home decades from now as they do today.